Geisinger Janet Weis Children’s Hospital’s Pediatric Intensive Care Unit is hosting a 4-mile trail run to benefit Children’s Miracle Network at Geisinger. 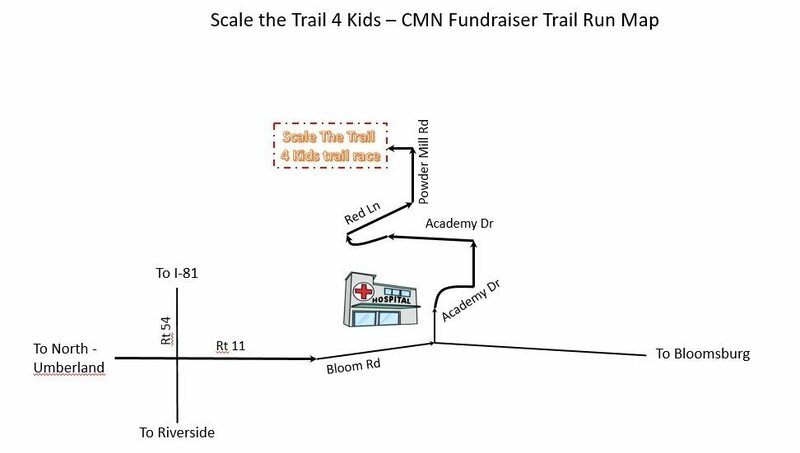 The second annual Scale the Trail 4 Kids event will be held April 28 on the Geisinger Stewardship Trails, located in the woods behind Geisinger Medical Center in Danville. Preregistered runners will receive a race t-shirt. The race is part of the River Town Race Series. Runners must be 14 or older to register. Run the trails and help local children. A $50 gift card to Elite Feet will be awarded to the male and female overall winners!